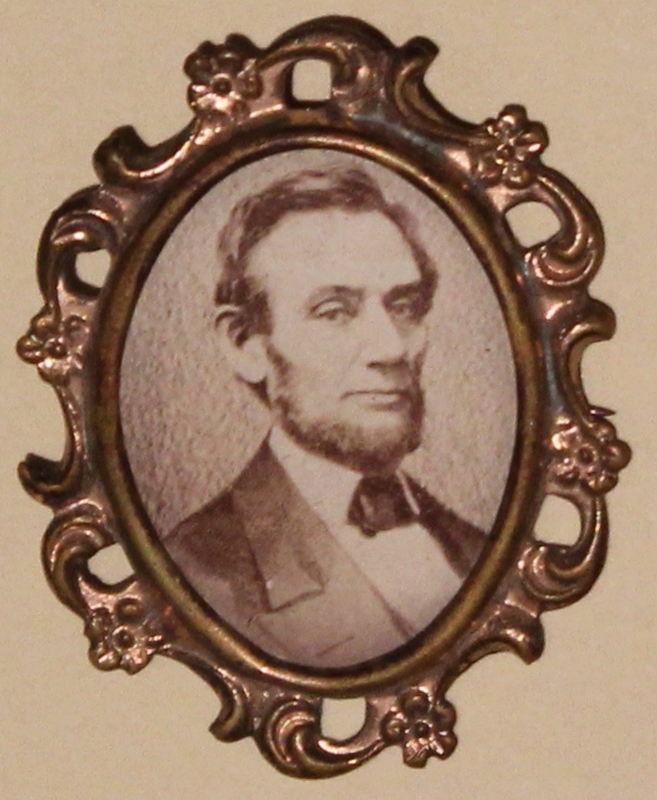 This ornate, oval pin would have been worn by mourners during the Lincoln funeral procession. While in Philadelphia, the President's body lay in state at Independence Hall and was open for public viewing on April 23, 1865. The funeral train departed from Philadelphia for New York City, en route to its final stop in Springfield, IL.